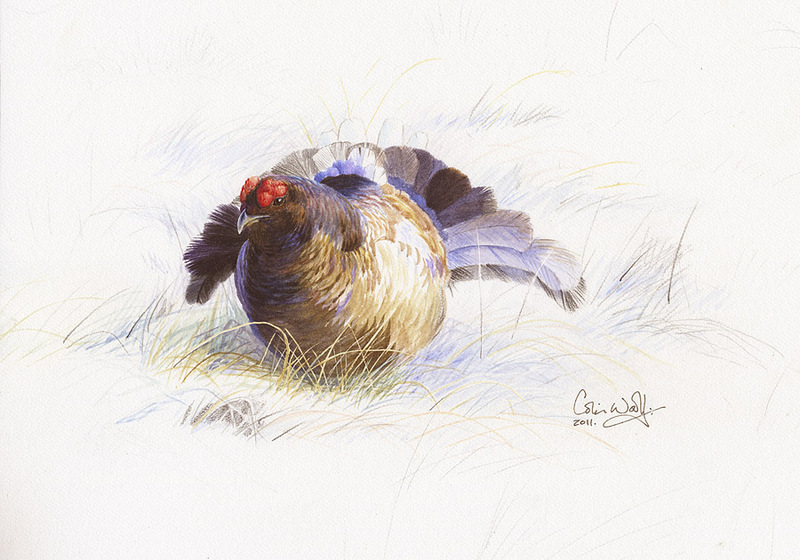 Two charming studies in watercolour and pencil, these were the preliminary sketches for Colin’s larger painting, ‘The Stand-off’. They measure 100 x 190 mm (above) 110 x 150 mm (below). Both are beautifully framed to conservation standard, and would look wonderful together on a wall. For more details, go to www.wildart.co.uk. An early Christmas present, perhaps? 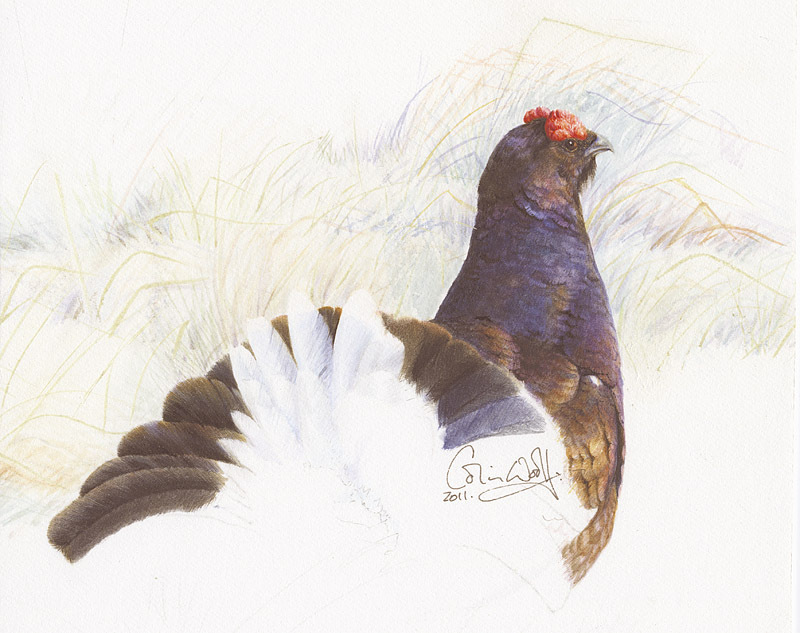 Love the Irridesance in the neck of the second bird,that purple blue sheen must be very difficult to achieve? Hi Craig, thanks for noticing! Too much paint is usually the cause of destroying a sheen – I’ve learnt so much from these two studies and have applied all that to the large painting. I’m really happy with the results.